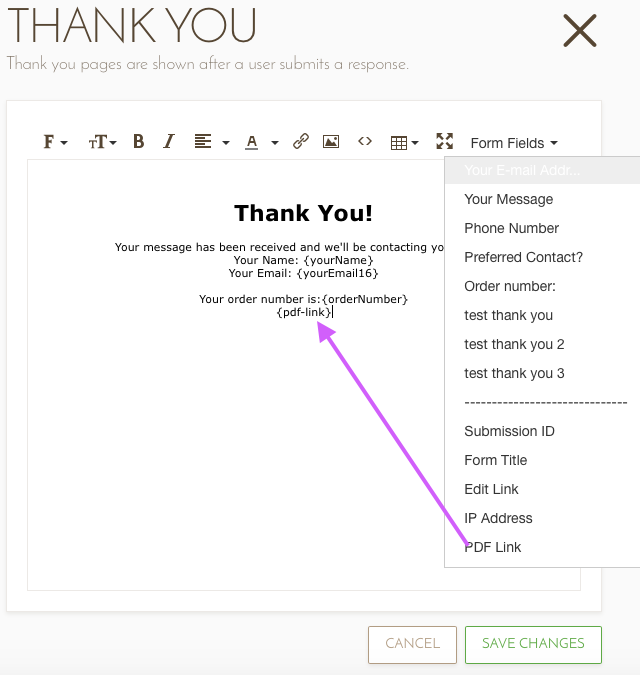 How do I show only the fields that were filled in on the thank you message? 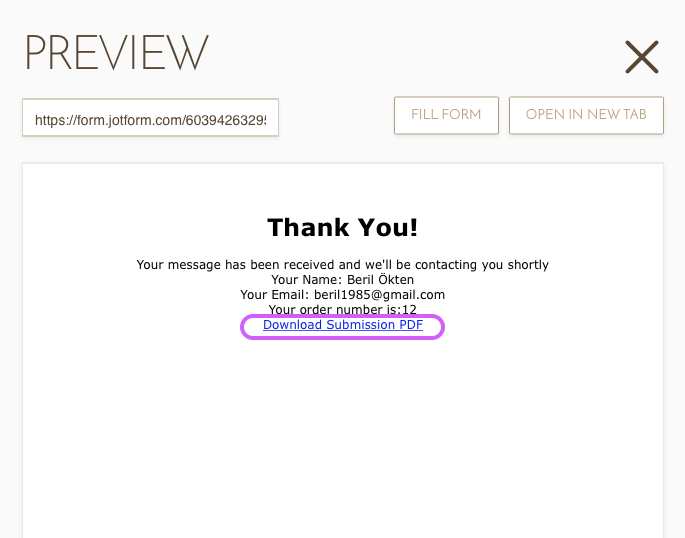 Since its an order form, it only makes sense to show what the user ordered. I've tested your scenario in contact form. First of all, I added all of the fields on thank you page as you see below. Furthermore, I suggest you to show your some of your required fields on thank you page. 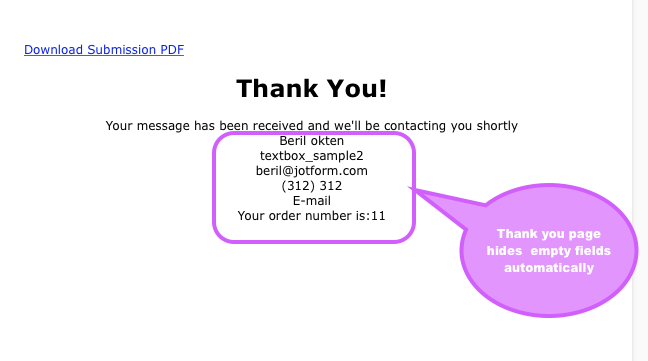 I think the better solution is showing PDF submission on Thank you page. 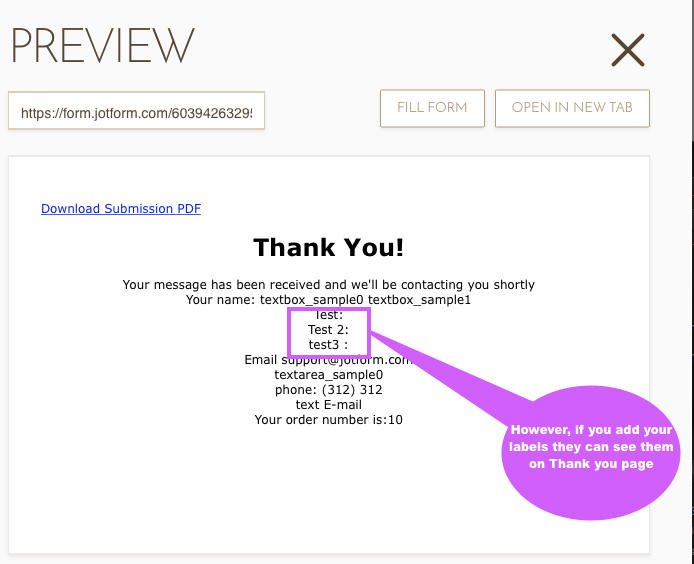 At that time your customers can download their submissions so they will not see their empty fields on their submission. 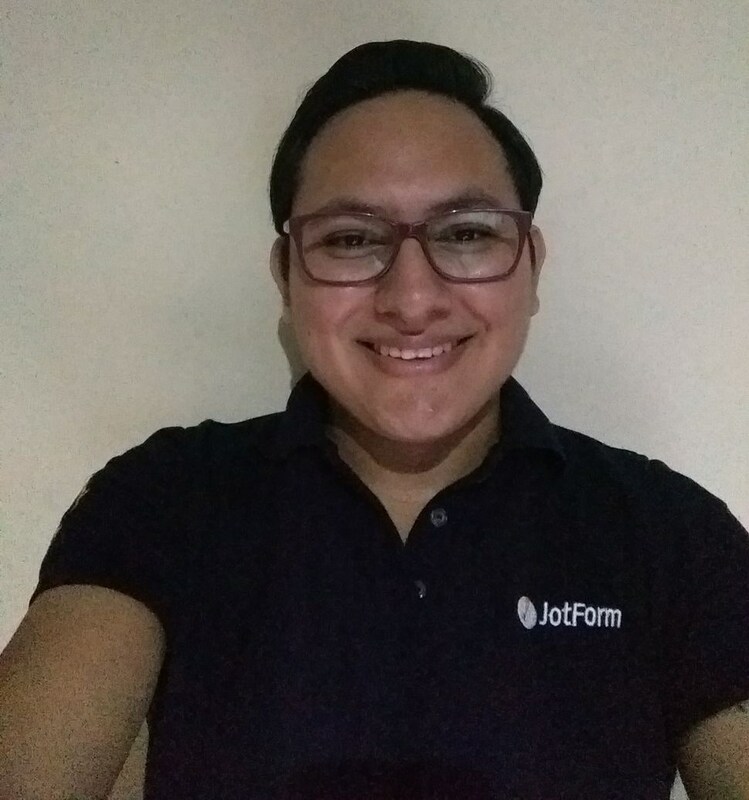 You can give permission for downloading their submission easily with Jotform. The only think you need to do is clicking PDF link on Thank you page. 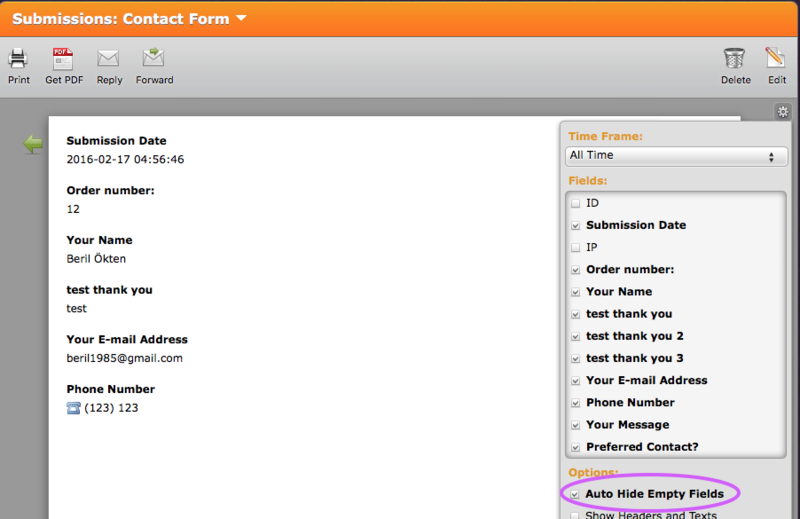 Please, do not forget to check Auto Hide Empty Fields on your submission. If you need further assistance feel free to contact us. We will be glad to assist you. Beril, is there a way to customize the PDF? And, is there a way to change Download Submission PDF to something else? Like Download a Copy of your Order. Correction, I see the customization. Changing Submission PDF to something else? Like Download a Copy of your Order. I checked the link and unfortunately it's not possible to change the text shown to download the PDF report. 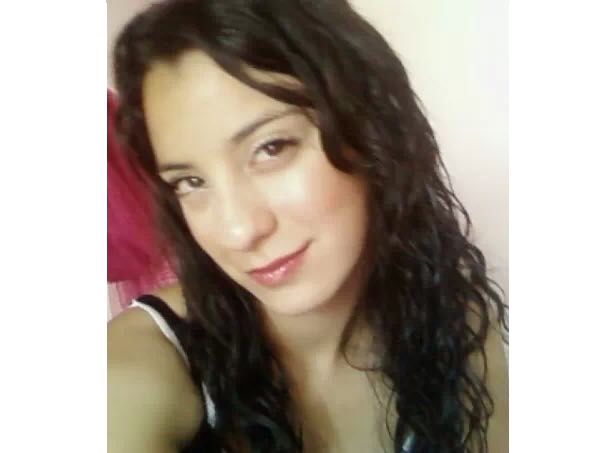 If you would like to have the ability yo change it you may open a new thread and request it, our developers will take it into account and it might be developed.